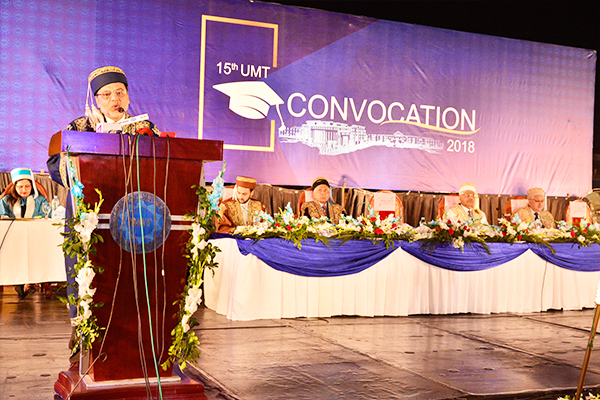 Addressing the large gathering at the 15th UMT Convocation, Dr Hasan Sohaib Murad, Chairman, ILM Trust, expressed gratitude towards Dr Ansar Pervez for gracing the occasion with his presence. He also thanked the Turkish delegates their presence and added that Pakistan and Turkey share a common destiny. 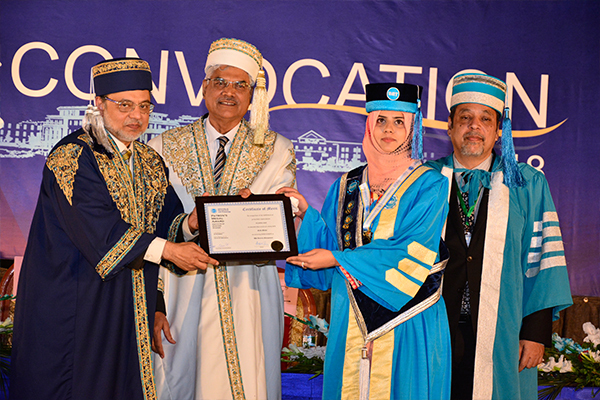 Dr Hasan congratulated the graduates on their achievement. He said that when we see a graduate walking towards the stage to receive the degree, we realize that this is another gift to the nation, another valuable resource and addition to human capital of the country. He said that the real world is waiting for people who dream high. The world of work is increasingly becoming the world of ideas. If you cultivate innovation, critical thinking, if you are bold enough to share ideas and supplement them with hard work, then the world is yours to take. He advised the graduates to belief in the SELF. He said that once you conquer yourself and the spirit, success will follow. 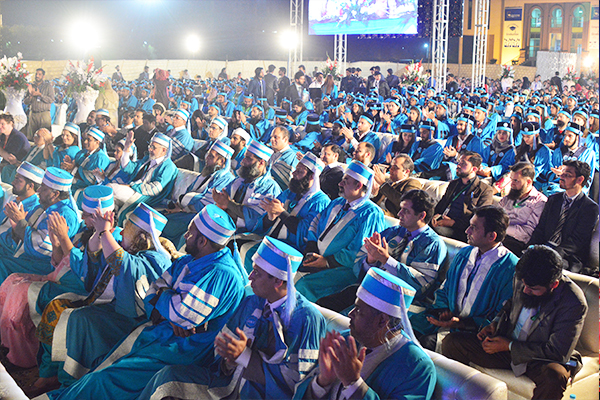 He also advised the graduates to take Dr Ansar’s advice to continue learning. In learning incessantly, you also learn creatively. Graduation day is not the end of learning – it is the beginning of learning. It is the beginning of your sacrifices and your imprints of life. 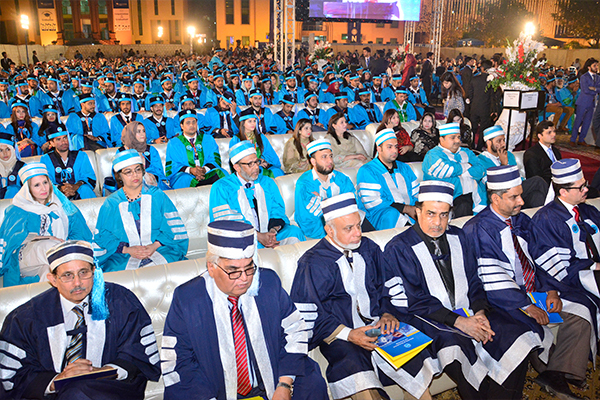 Dr Hasan concluded his address by highlighting the role and achievements of the UMT faculty whose commitment towards excellence in teaching is indeed enviable.